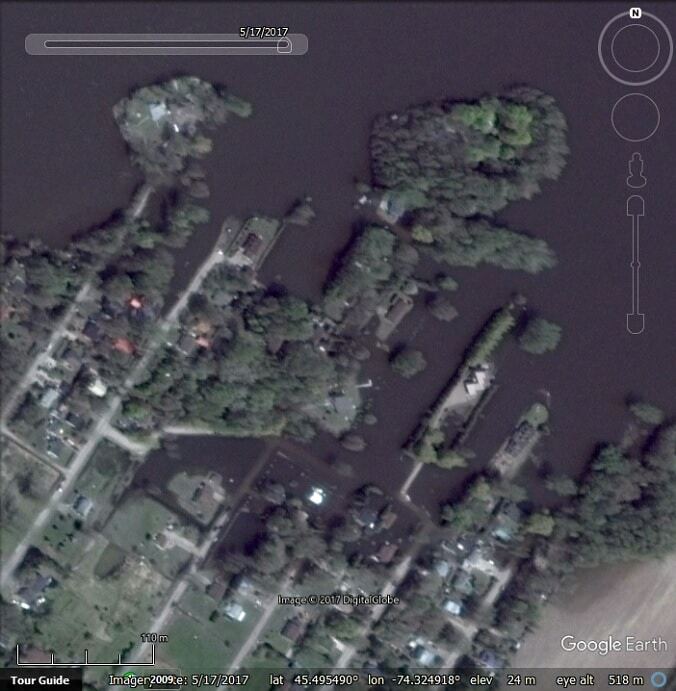 Google has recently updated the ‘historical imagery’ layer and today we are having a look at a couple of floods. 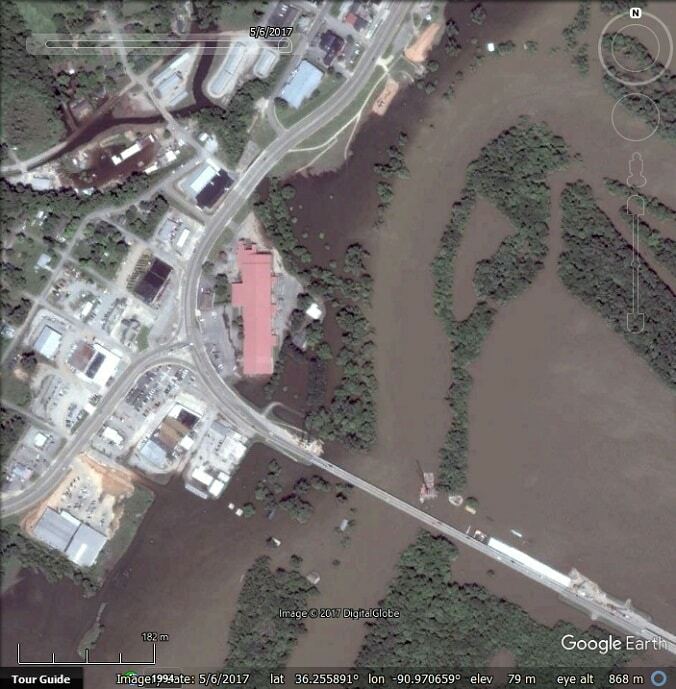 We had a look at this flooding event last month using low resolution Sentinel-2 imagery. 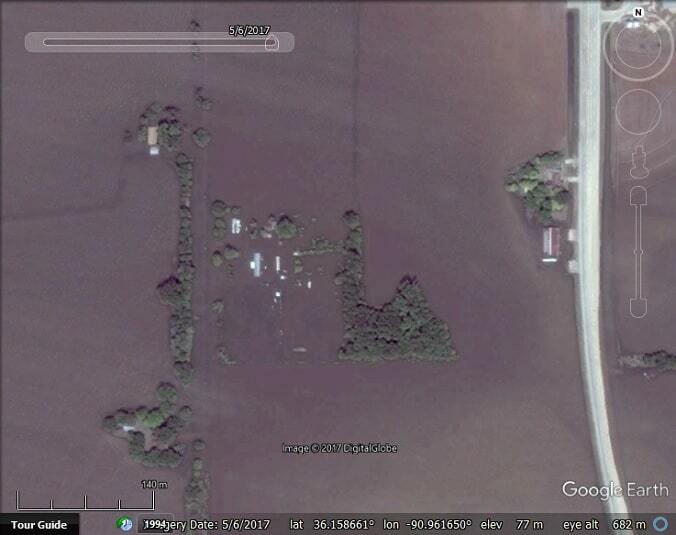 Now there is higher resolution DigitalGlobe imagery we can see a lot more detail. The imagery was captured on May 6th, 2017. The road below appears to have also served as a levee to prevent flooding. However, it has clearly been breached in a number of places, causing major flooding downstream. Multiple breaches in a levee, Black River, Arkansas (near Pocahontas). Flooded houses downstream from the breached levee. Pocahontas, Arkansas, showing how the height of the river during the flood compares to the normal level. According to this article, between April 5 and May 16, more than 5,700 homes were flooded and more than 4,000 people forced from their homes in Quebec, Canada. One of the worst affected towns was Rigaud. There are some DigitalGlobe images from May 17 after the water started to subside, but we can still see some flooded areas. 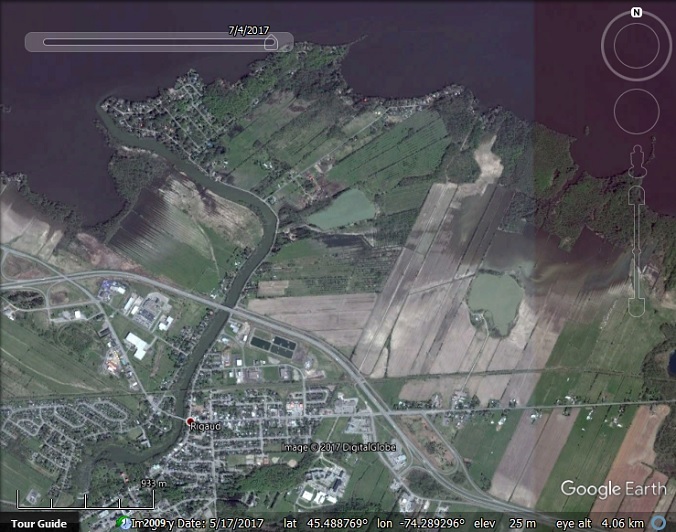 Flooded houses in Rigaud, Quebec, Canada. Retreating flood waters, Rigaud, Quebec, Canada. 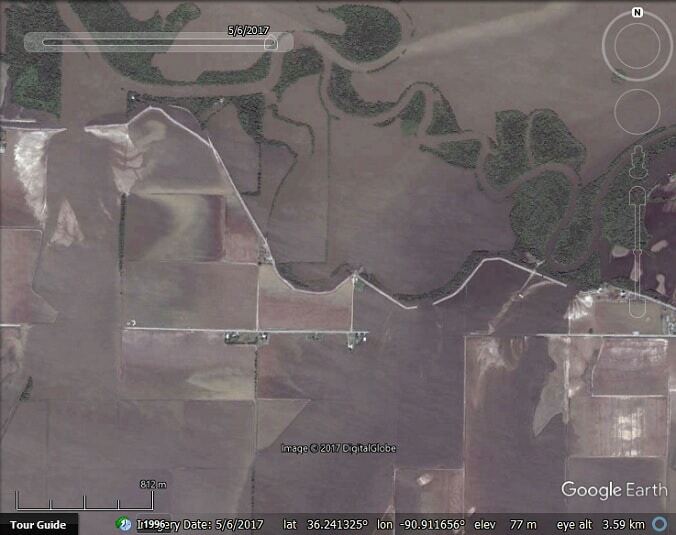 For outlines of the above imagery and locations of interest, download this KML file . 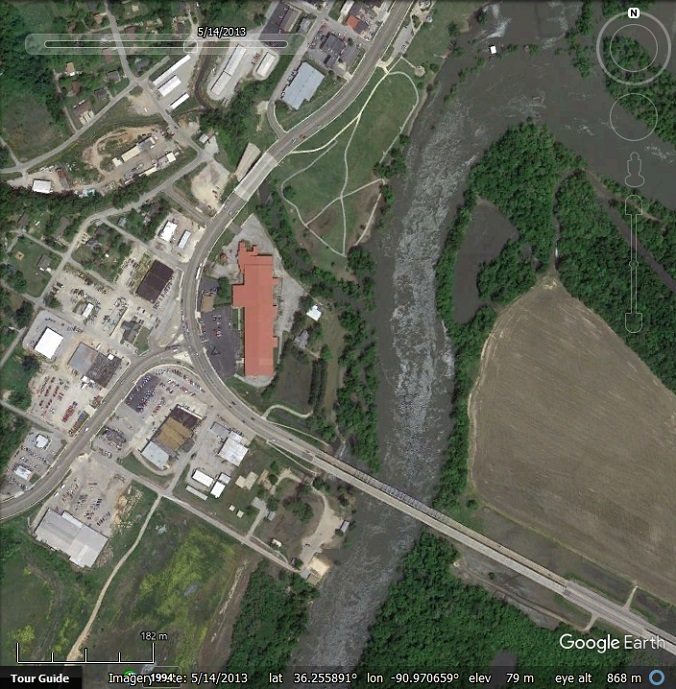 The post Google Earth Imagery Updates: Floods appeared first on Google Earth Blog.